NordicTrack is a leading brand of fitness equipment and a well-known household name. From their solid treadmill line to their excellent exercise bikes, NordicTrack has had years of producing top-of-the-line machines. NordicTrack was founded in 1975 by Edward and Florence Pauls when they invented the first NordicTrack ski machine. Having been told by a cardiologist that the NordicTrack ski machine was the best cardio workout machine he’d seen, the Pauls felt confident enough to open for business in Montana. 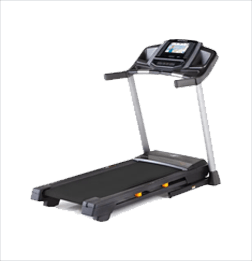 In 1998, ICON acquired NordicTrack and added treadmills to the NordicTrack brand. Today, NordicTrack is the world’s best-selling home treadmill brand. 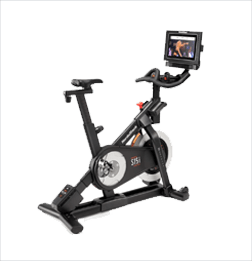 Over the years, they have added exercise bikes and ellipticals to their product offerings, then they pioneered the development of incline trainers in 2009. NordicTrack has a varied product line. They are all of excellent quality and can accommodate a range of budgets. In addition, NordicTrack is very competitive with their pricing–especially when you take into consideration all the technology they put into their treadmill lines. While you can find great deals on their treadmills, you can always get best pricing and discounts with the coupons we offer here at treadmillreviews.com (click here to see our latest coupons and promo codes), or you can also check out NordicTrack promo codes to get other great offers. 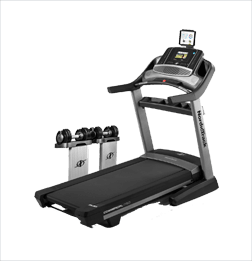 The T treadmill series from NordicTrack represents their budget-to-affordable treadmills. 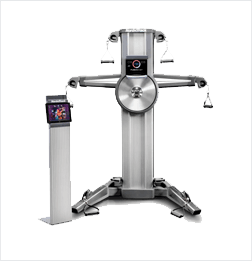 These affordable machines generally start at $899 and should fit the needs of those looking to lose weight and develop greater fitness. 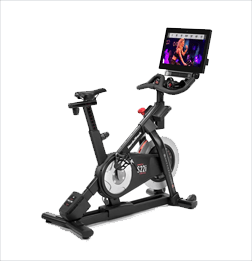 Some features available in the T series include a free year iFit Coach membership, high-definition touchscreen displays, and the ability to incline. Commercial series treadmills are of light commercial quality and excellent for all fitness levels. These treadmills start at $1,799 and include upgraded motors, touchscreen displays, and commercial-grade steel. It also comes with free access to iFit Coach for a year, along with the incline range of -3% to 15%. 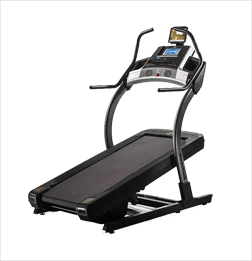 Revolutionary in the treadmill scene, the incline trainers start at $1,999. With a staggering incline range of -6% to 40%, you can burn calories faster and engage your muscles in new ways. With their high-tech touchscreens, wireless chest rate monitor, and Reflex™ cushioning, these incline trainers are clearly a class above your average treadmill. 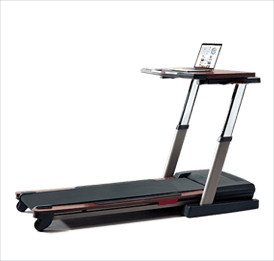 Treadmill desks are also part of NordicTrack’s treadmill product line and start at $999. These desks are connected to the deck of the treadmill with the ability to fold up compactly. They have good motors and can reach higher speeds than other treadmill desks so you can mix things up. 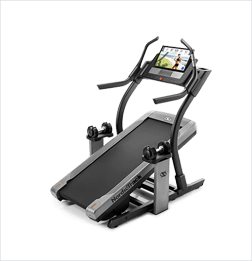 Occasionally, we review other workout equipment which can be beneficial to your treadmill training or when our readers are particularly interested in a piece of equipment. 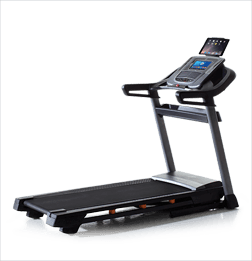 As we review these non-treadmill pieces of equipment, you can find our reviews in the “Other Reviews” section as you check out the various treadmill brands. NordicTrack regularly introduces new treadmills to their lineup and phases out other models. 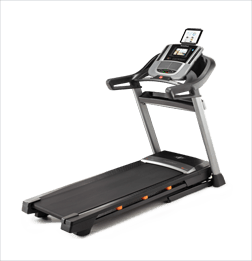 However, if you have come across a great deal on one of these older NordicTrack treadmills and you’re wondering if it’s worth you picking up, you can read our reviews to check. 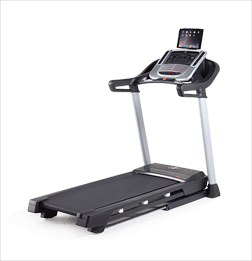 Since NordicTrack has a wide range of treadmill offerings, it only makes sense to break down their common features by treadmill line. As you’ve seen above, NordicTrack does not only produce regular treadmills but also specialty ones to appeal to a variety of tastes. 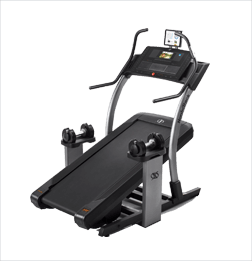 Incline trainer treadmills – NordicTrack like to emphasize the incline ability of the incline trainer. We don’t object, as they are the only makers of an incline trainer which can reach -6% decline and a staggering 40% incline. You will feel the burn faster, both in your muscles and metabolically. As you workout at higher inclines, you can burn calories that much faster. 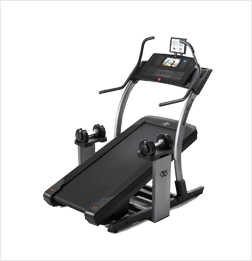 They also have well-cushioned decks and two sets of handrails to make the incline trainer much more comfortable than the average treadmill. The only potential drawback is that the incline trainers do not fold up. Be sure that you have a dedicated space for your incline trainer if you are considering purchasing one. Treadmill desks – There have been studies and articles written about the dangers of prolonged sitting. While a standing desk can help with excessive sitting, it doesn’t address the exercise aspect of a healthy life. Working a desk job 8+ hours a day can severely cut into your fitness time. The NordicTrack treadmill desks address all these problems at once. 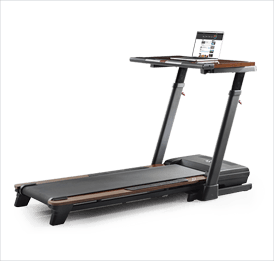 The two treadmill desks NordicTrack offers can fold up into a sitting desk, run at speeds anywhere from 6-8 MPH, with wide workstations. There is also a convenient USB charging station embedded into the desk to keep your electronics ready to use. 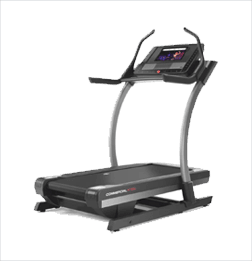 A large allure of NordicTrack treadmills is the high-quality technology that comes with most of their treadmills. Some of the specialty ones like the treadmill desk and the more budget treadmills may have a little less tech than the others, but they are still packed with features. 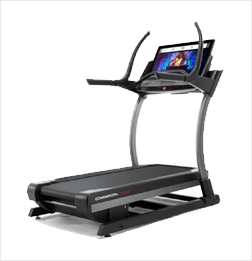 Touchscreens – The majority of NordicTrack treadmills come with high-definition touchscreens. Scroll through a variety of workout programs and enjoy virtual runs across the world thanks to Google Maps pairing with iFit. These touchscreens are very sensitive to touch and are quick to respond to any input. iFit Coach – All of NordicTrack’s treadmill can sync with iFit Coach, and come with a free year membership to this excellent training program. You can access it from a smart device to workout anywhere or use the touchscreen that all NordicTrack treadmills come with standard now. With iFit Coach, you can explore running paths around the world, workout with virtual personal trainers, receive tailored fitness advice, meal planning help, and more. Heart rate monitoring – EKG handlebar grips can assist in your heart rate monitoring on all NordicTrack models. Many of the NordicTrack treadmills also include a wireless heart rate monitoring adjustable chest strap, which is a much more accurate way to track your heart rate. 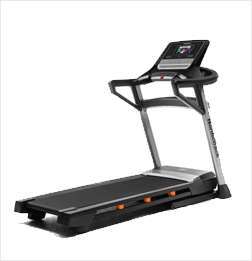 Which NordicTrack Treadmill Is Best? Note: While we love the following 3 treadmills, this in no ways means we don’t like the other treadmills in NordicTrack’s lineup. These are the 3 we have chosen based on price, functionality, and overall feedback from our readers. The above are just the highlights of what we like about NordicTrack. Quality and functionality abound when it comes to their treadmills. Size and storage may be the only problem for some with some treadmill models being nearly 7’ long. However, there are many folding models available, which also have a hydraulic system to assist with raising and lowering the deck. 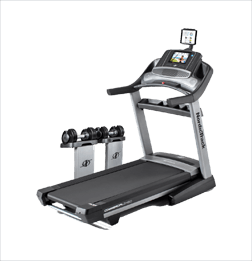 Overall, we love NordicTrack’s variety of treadmills. From the modest T 6.5 S to the powerhouse X32i, there is a NordicTrack treadmill for anyone’s needs.